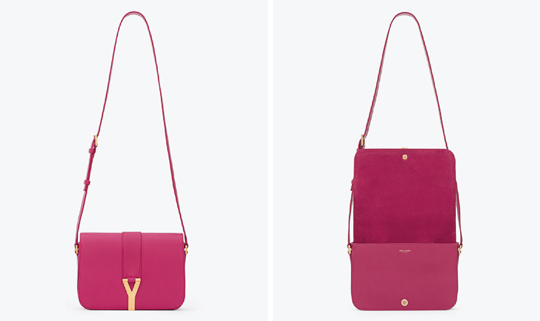 Classic Y satchel in fuchsia leather at Saint Laurent. That is a very nice pink bag. Wish it was a better deal!